Award-winning lawyer Chris Purcell has more than two decades of experience with all types of personal injury law, including car accidents, truck accidents, and wrongful death. Our team of top aggressive lawyers have a reputation for providing some of the best and most honest legal counsel in Southern California. As a law firm, our attorneys fight to maximize our clients’ compensation. Our client reviews will show that we are one of the most caring and compassionate law firms in Orange County. A serious personal injury can happen at any time, and it can happen to anyone. You can be severely injured without warning in an automobile crash or in some other sudden, unexpected accident, and it can completely disrupt your life. You may not be able to work – temporarily or permanently – and you may spend days or even months recuperating. Just a few days lost from the job – while stuck in the hospital – is more than many working people can afford. However, in southern California, there is real hope for the victims of personal injury. 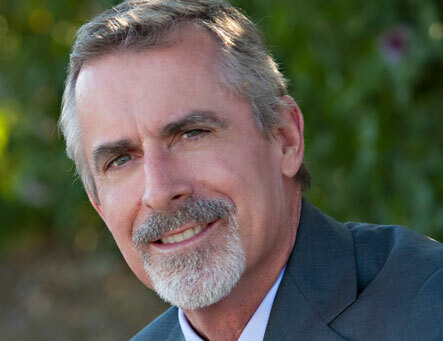 For more than twenty years in Santa Ana and in Orange County, southern California personal injury attorney Chris Purcell has been actively and passionately committed to helping individuals and families harmed or injured by the negligence, wrongdoing, and illegal actions of others. You should probably know a few things about Purcell Law even before you call to discuss a personal injury claim with Chris, because Purcell Law is a singular and unique legal practice in the field of personal injury law. When you become attorney Chris Purcell’s personal injury client, you are treated with absolute respect, and you’ll be extended every professional courtesy and consideration. Chris will explain in detail exactly how California personal injury law applies to your case, and he will keep you completely informed as your personal injury claim advances through the legal process. Chris Purcell will handle all of the negotiations and discussions with the party you name as a defendant in your lawsuit, with that party’s insurance company, and with his or her attorney or attorneys. Chris understands that a personal injury claim is about much more than money; so is his work on behalf of the victims of negligence. It’s about fairness, justice, and what’s right. If you or someone you love has been injured by the carelessness or negligence of another person or persons in southern California, or if you are injured in that way in the future, let an experienced Orange County personal injury attorney – Chris Purcell – help you fight for the compensation you need and for the justice you genuinely deserve. When Santa Ana personal injury lawyer Chris Purcell represents you in a personal injury claim, he will see to it that your case is clearly explained and is fully understood. And when insurance companies and corporations hire well-paid experts and impressive legal teams to fight your claim, Chris Purcell levels the playing field on your behalf. Purcell Law handles only meritorious claims – cases for real victims who have sustained real injuries caused by the genuine negligence or misconduct of others. And Chris handles only a limited number of these cases so that he can invest the time, energy, and effort it requires to build a strong case for every client. Santa Ana personal injury attorney Chris Purcell thoroughly investigates your accident and injury, gathers and carefully scrutinizes the evidence, and interrogates the witnesses on your behalf. Chris resolves most personal injury claims by negotiating out-of-court settlements, but – when a settlement simply is not available – Chris will not hesitate to take your case before a jury of your peers and ask them to compensate you and to hold the negligent party accountable under the law. For more than two decades in southern California, Anaheim personal injury attorney Chris Purcell has represented personal injury victims in claims involving car, truck, bus, motorcycle, pedestrian, and bicycle accidents; construction injuries and other workplace accidents; incidents of medical malpractice; injuries caused by dangerous consumer products; police misconduct; other negligence-based personal injuries; and wrongful death claims. In fact, Chris Purcell was part of the legal team that won the state of California’s historic, largest-ever wrongful death judgment – a $150 million verdict in Asam vs. Ortiz in 2013 – for an innocent family devastated by a tragic southern California trucking accident. While your own case may not result in that kind of a verdict, attorney Chris Purcell brings the same passion, commitment, and dedication to every case and to every client. If you or someone in your family has been injured by negligence in any kind of accident, your medical, financial, and personal challenges may seem overwhelming. Orange County personal injury attorney Chris Purcell is dedicated to helping his clients get their lives back on track after serious injuries and to helping you and your family move forward in the most positive way possible. Chris represents accident victims and their families throughout Orange County including Irvine, Santa Ana, San Jacinto, Anaheim, and Corona. Personal injury claims are handled on a contingency fee basis, which means that you pay no attorneys’ fees unless and until Purcell Law recovers the compensation you need. Literally thousands of personal injury attorneys practice in southern California. How can you select an attorney you can trust, someone who will fight tenaciously for justice? Purcell Law is not a personal injury “settlement mill.” Chris has represented scores of southern California accident victims for more than two decades, and he has substantial experience taking personal injury cases to trial – and winning. If you have genuinely been injured by another person’s negligence, your personal injury lawsuit will likely be successful, but there are never any guarantees. In fact, the attorney you select really can make all the difference. If you are involved in a traffic collision, seek medical treatment at once. Obtain the name, address, and insurance information of the other driver (or drivers) along with the names and contact information of any eyewitnesses. 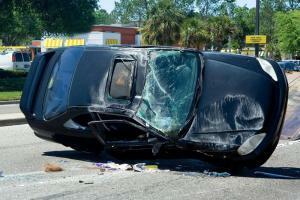 Try to take or have photos taken of your visible injuries, the crash site, the license plates, and the vehicle damages. Make and keep copies of all of the documents and paperwork – medical bills, test results, accident reports, and anything else that might be pertinent – generated by the accident and the injury. Santa Ana personal injury attorney Chris Purcell represents victims of negligence who have been injured in car, truck, bus, taxi, pedestrian, motorcycle, and bicycle accidents. If the traffic accident that injured you was caused by a defective auto part or by a defective road design – rather than by a negligent driver – Chris will fight for your rights and for the compensation that you’ll need. Chris Purcell also represents accident victims in claims that involve personal injuries suffered in aviation, boating, and public transportation accidents. 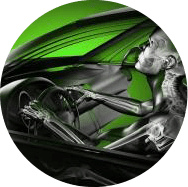 The most catastrophic personal injuries in traffic crashes – lost limbs, spinal cord injuries, and traumatic brain injuries, for example – require the maximum available financial compensation. Let Santa Ana personal injury attorney Chris Purcell advocate on your behalf and provide the legal advice you will need. Victims of another person’s negligence are entitled by California law to receive complete compensation for ongoing and future medical expenses, loss of income and earning capacity, pain, suffering, and all other accident-related damages. Construction workers suffer more injuries and more fatalities on the job than people in any other line of work in the United States, but construction sites have no monopoly on workplace injuries. If you are injured at the jobsite by defective tools, equipment, or machinery, you may have legal recourse – a product liability claim – against the manufacturer. 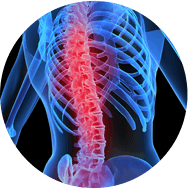 Severe burn injuries, traumatic brain injuries, and serious spinal cord injuries – which are common construction and workplace injuries – are frequently catastrophic and often permanently disabling. 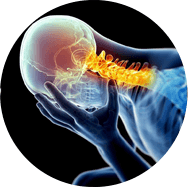 Victims of such injuries may need lifelong treatment and care. So, if you have sustained a disabling or catastrophic personal injury in a construction or workplace accident in southern California, you will need a considerable amount of compensation. Santa Ana personal injury lawyer Chris Purcell has helped scores of construction workers obtain the full amount they need and deserve. If you’ve been injured at any jobsite, you may be entitled to more than workers’ compensation. After a workplace injury, first seek medical treatment, and then discuss your legal possibilities and options with Chris Purcell. Private property owners and managers in our state are legally obligated to manage, supervise, and operate their private properties in a way that minimizes risks to others. If they do not, they are legally responsible for any harm caused by their negligence. Santa Ana personal injury attorney Chris Purcell represents injury victims in premises liability cases that can include but are not limited to slip-and-fall injuries, trip-and-fall injuries, injuries resulting from dog bites and other animal attacks, and other injuries resulting from the negligence of a property owner, caretaker, or manager. Chris aggressively advocates for the victims of swimming pool accidents, falling merchandise, ceiling collapses, balcony collapses, building code violations, and the victims of inadequate lighting and insufficient security. He will investigate why and how the accident happened, assess the full extent of your personal injuries, provide the sound legal advice that you’ll need, and fight with determination for the compensation you deserve. Medical malpractice is the negligence of a healthcare professional that causes the deterioration of a patient’s health, additional injury to the patient, or death. Misdiagnosis, for example, happens far too often; surgical errors also happen far too frequently. For some patients, a misdiagnosis or a failure to diagnose can be life-threatening. If you were misdiagnosed, it’s also likely that the wrong prescriptions or the wrong procedures were recommended for you. During a surgical procedure, one moment of carelessness can mean a punctured organ, internal bleeding, or worse. When healthcare professionals do not provide a reasonable, quality standard of care, they are legally negligent. If that negligence causes you injury or harm, you are entitled by law to financial reimbursement, and you have the right to file a medical malpractice claim and seek that reimbursement. For a victim of medical negligence to succeed with a medical malpractice claim in California, you and your attorney must prove that a healthcare professional or a healthcare facility provided substandard care and that the substandard care directly caused your injury. You’ll also need to define and document the full extent of the injury or injuries. Santa Ana medical malpractice lawyer Chris Purcell aggressively represents patients who have been injured by medical malpractice including negligence in the operating room, prescription errors, and misdiagnosis or the failure to diagnose. 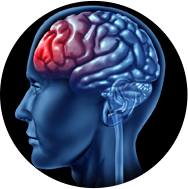 Chris also handles medical malpractice cases involving birth injuries, traumatic brain injuries, and neck and back injuries. When you bring a claim for medical malpractice, in addition to pursuing justice, you are also helping to prevent similar incidents of medical malpractice – and similar injuries to other innocent victims – in the future. Most defective consumer products are simply aggravations, but some defective consumer items – auto parts, power tools, kitchen appliances, over-the-counter or prescription medicines, and scores of other commercial products – can be quite dangerous. If you have been injured – or if you are injured in the future – by using any consumer product that should have been safe to use, you will need to be compensated for your medical costs and related losses. If you are injured using any defective consumer product, seek medical treatment at once. Do not sign any documents, speak with, or settle with an insurance company before discussing your product liability case with Santa Ana personal injury lawyer Chris Purcell. Chris fights diligently for the rights of victims who have been injured by defective consumer items in Orange County and across the region. California’s law enforcement officers are pledged to protect your civil rights before an arrest, during and after an arrest, and even after a criminal conviction. Anaheim personal injury attorney Chris Purcell fights aggressively for the rights of the victims of civil rights violations, police misconduct, excessive force, and police brutality. Excessive force by the police can involve the abuse of batons, tasers, handcuffs, pepper spray, or choke holds. Physical and sexual assault, sexual and verbal abusiveness, and racial discrimination by police officers are illegal civil rights violations. If you have been a victim of verbal abuse, excessive force, or brutality by a law enforcement officer or a police department anywhere in southern California, or if you’ve lost someone you love in a questionable police shooting, get the legal advice and help you need right away by contacting Orange County personal injury attorney Chris Purcell as quickly as possible. If your claim prevails, the court may compensate you for the damages you’ve suffered because of police misconduct. Wrongful death threatens us and our families daily in a variety of ways. Under California law, a “wrongful” death is any death caused by another party’s carelessness or negligence. Examples of circumstances where a wrongful death potentially might occur include a doctor prescribing the wrong medication; a motorist driving under the influence of alcohol or drugs; or a landlord’s failure to replace unsafe stairs or railings. As difficult as it will be at a time of mourning, if your family loses a loved one due to another person’s negligence, it is imperative to contact Santa Ana wrongful death attorney Chris Purcell as quickly as possible and obtain his sound legal advice. Chris can help surviving family members acquire the compensation they need to avoid financial hardship, to cover unexpected expenses, and to move forward in a meaningful way with their lives. If you belong to the family of the deceased, or even if you are a non-related beneficiary, you may have legal standing to bring a claim for wrongful death. If you have been injured by negligence in southern California, you can be confident that as the client of attorney Chris Purcell, your case will be handled with professional competence and personal care. His experience and credentials are your assurance of quality legal representation. From the offices of Purcell Law in Santa Ana and Irvine, Chris represents clients throughout Orange County and across southern California. All personal injury claims are handled on a contingency fee basis, so a client pays no attorneys’ fees until and unless Purcell Law recovers compensation on that client’s behalf. See what clients are saying about working with Chris by reading the Google Plus reviews of Purcell Law. To schedule a free initial legal consultation with California personal injury attorney Chris Purcell, call 866-735-2113 from anywhere in the state of California, or contact Purcell Law, located at 1539 E 4th St Santa Ana, CA 92701, down the street from French Park in Santa Ana, near California Coast University, and approximately 8 miles from John Wayne Airport (SNA), by completing the contact form on this website. In most personal injury cases in California, a statute of limitations restricts the amount of time you have to file a personal injury claim, so it is imperative to put Chris on the case at once. Evidence in personal injury cases can quickly deteriorate or disappear, and the memories of eyewitnesses can fade rapidly, so if you’ve been injured by another person’s negligence, do not wait. Take the first step toward justice and speak with attorney Chris Purcell immediately after obtaining medical treatment. Nothing is a higher priority than your health, your family, and your future.